The students of the Queens Community House After School Program at PS/IS 499 participated in the 19th annual “Lights on Afterschool” event. 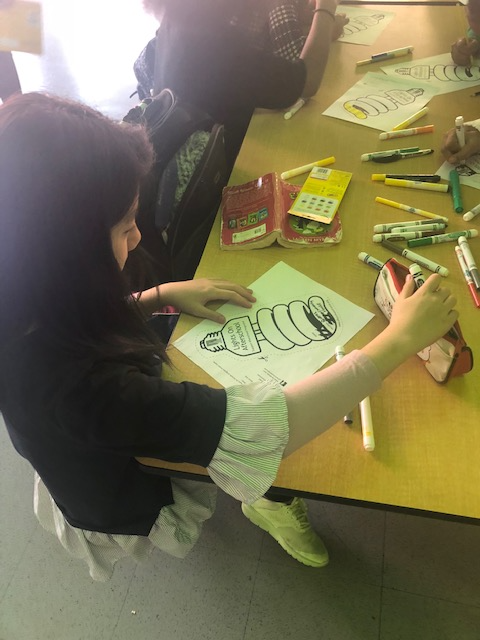 With the help of staff, specialist leaders and the supervisors, the students gathered in the cafeteria to reflect on why they enjoy coming to the after school program every day; specifically how they envision QCH as an influence on their personal development. 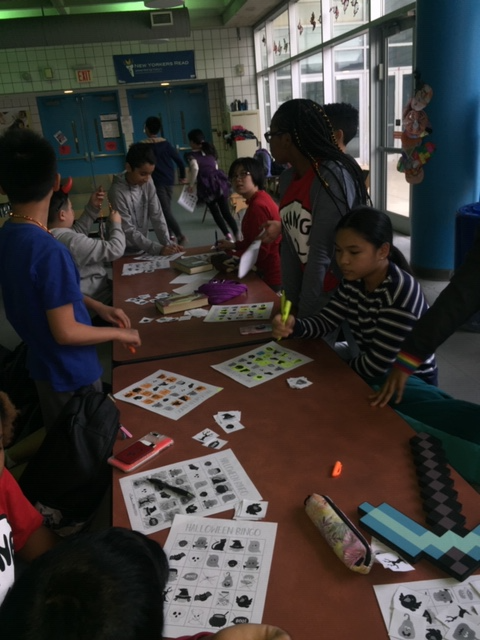 To further their understanding of the national importance of this event as well as the impact of afterschool programs such as QCH, their Director Herina Gerlain, began the celebration with an explanation of why it is that they gathered on October 25th, 2018. ​ She emphasized the personal importance of the opportunities that exist within the program such as Robotics, Sonic PII and Film that speak to the needs of our technologically based Flushing community. She also stressed the importance of activities such as Leadership, Dance, and Crafts that improve cultural awareness and identity. She concluded her message to the students by encouraging them to express in a letter why after school is important to them and why sharing their stories with their local congressman are even more influential to keeping the lights on in all afterschool programs across the country. 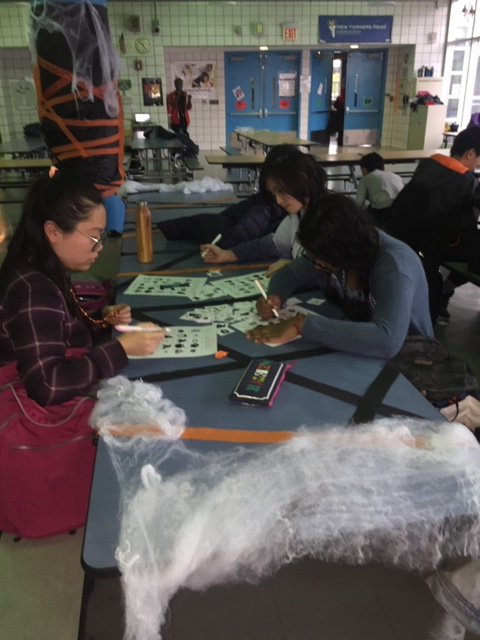 Following the collective conversation lead by Herina Gerlain, the students then gathered together in their respective grade level groups to decorate sky lanterns. 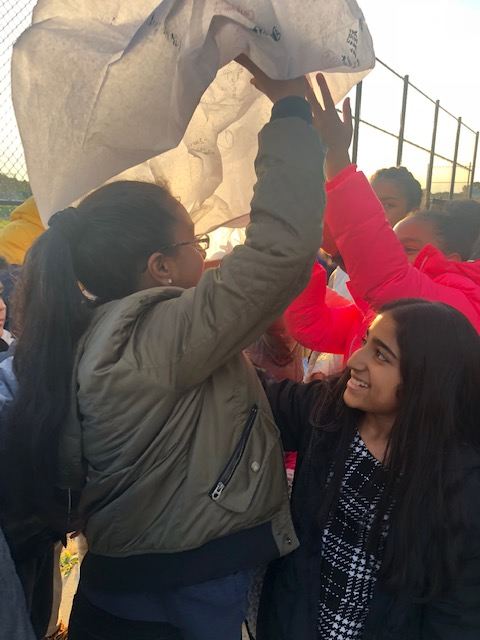 The staff and students processed outside to show each other their decorated lanters and selected staff members ignited the lanterns with the students safely at a distance. All members and participants of the QCH program grouped together to watch their decorated lanterns light up the early evening sky as they reflected on another year with their lights on. 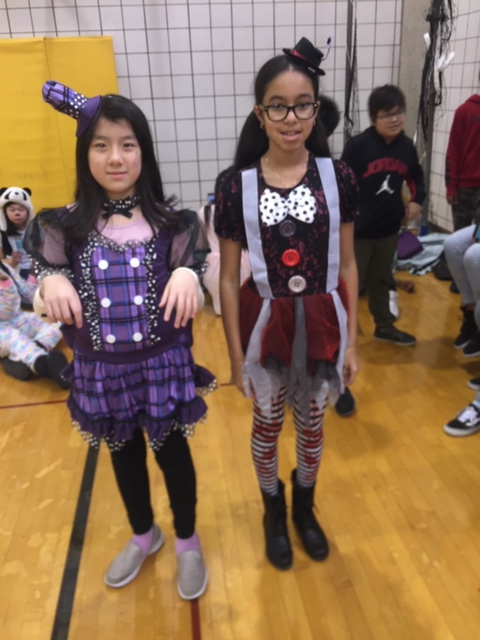 The students of the Queens Community House After School Program at PS/IS 499 celebrated in Costume Party this year as they spent the afternoon playing games, singing songs, and showing off their spooky costumes. 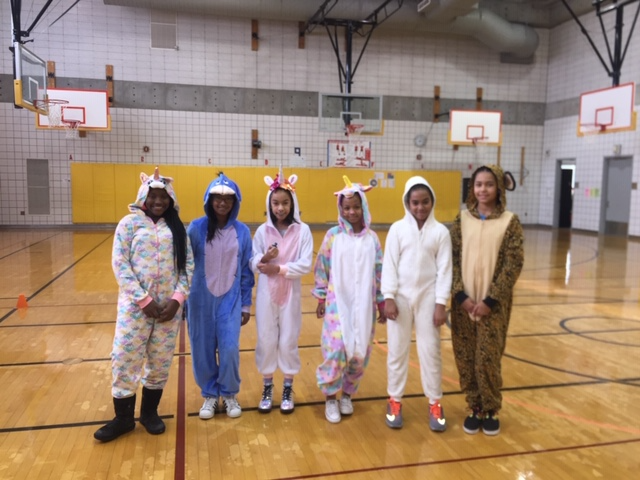 They began the afternoon by quickly changing into their costumes before engaging in Costume themed group games lead by specialist staff members. The students gathered together in groups according to their grade level to play the “Mummy Wrap Game”. 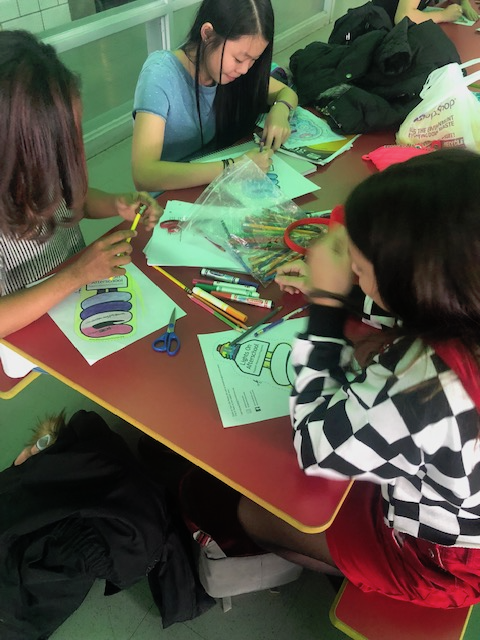 They were instructed to first pick a member from their group that they would like to wrap then utilize problem solving skills and critical thinking to successfully wrap their “mummy” within three minutes. After completing two rounds, the eighth grade team captured the eyes of the judges and won the game. 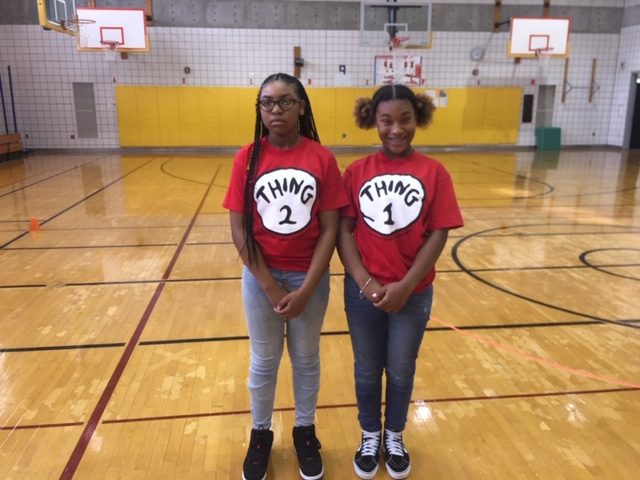 Following the “Mummy Wrap Game” the students then played “Zombie Tag” where they had to walk around the gym and avoid getting “infected” by their announced peers. 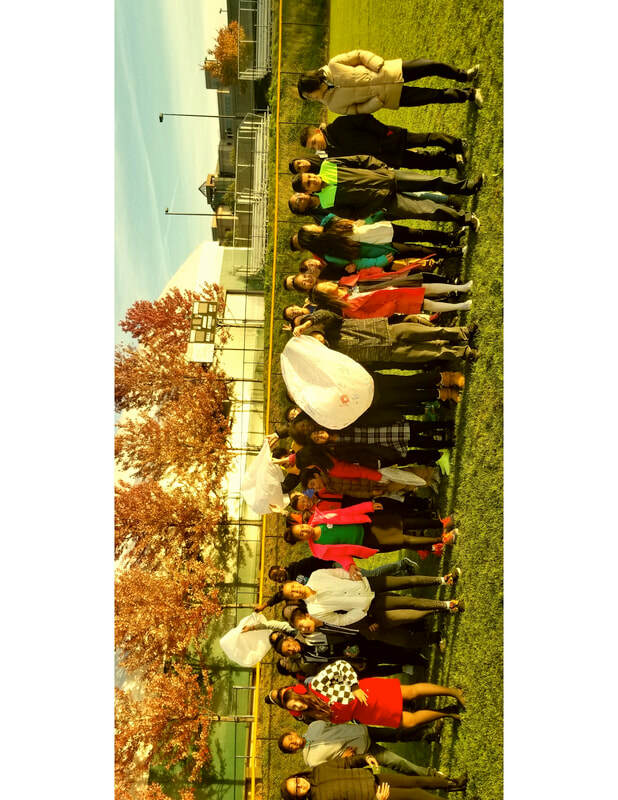 Students were encouraged to strategize methods to avoid becoming a zombie while the staff cheered them on.